A conveniently located, eco-friendly, affordable place to call home. Your home away from home with furnished 2 & 4 bedroom floorplan options. The Union has modern and spacious, fully-furnished 2 & 4 bedroom individually leased apartments. Our prime location puts you only 2 blocks north of Oregon State University and all things Corvallis making us easily the best located student property in Corvallis. Each apartment home is beautifully designed with contemporary furniture, washer/dryers in unit, stainless steel/energy efficient appliances, and huge windows to provide lots of natural light! Plus, with covered parking and indoor bike storage options, everything is easily accessible. We even have onsite management & maintenance, individual locking doors on every bedroom, plus security cameras and an intercom system. Residents will enjoy a resident lounge with a pool table, spacious study lounge with study tables, a library, sundeck & bbq area, and bocce ball court. If you have a green thumb, we have a large rooftop garden and even individual garden beds for our residents to use. Best of all though, is our great central location right off campus that puts you in the middle of everything! The Union is LEED certified which means that everything about our building is designed to make a more healthy, highly efficient, cost-saving, green community! Here at The Union, we take pride in our exceptional residential services with an "above and beyond" attitude.  Come see for yourself what makes The Union the best in student housing in Corvallis. And more at The Union. At The Union, we host frequent resident events to establish a community you're proud to be a part of.